Choosing a right neckline is very important for any garment. 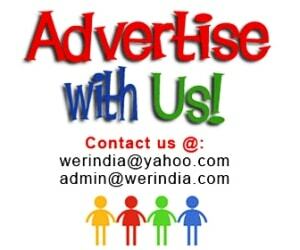 It is one of the basic requirement to head towards a good design. Nowadays people are not afraid to experiment with different designs available in necklines, and this helps in achieving the right kind of the look for the garment. 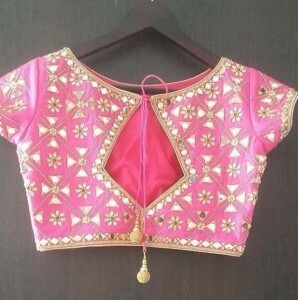 The main element in any choli or blouse is its balance between the neckline and sleeve, rest can be taken care off. 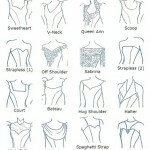 Here we have listed few necklines for the back look, basically with tassels for the upcoming festive and wedding season. Tassels add a fun element to the garment with a ethnic touch, it also makes a plain simple blouse look heavy and full of details. So whether you have a choli to wear with lehnga or a blouse to be done with a saree, you can choose your necklines from here for a truly inspiring tassels look. Inverted diamond– Jewel or boat neckline can be done in this shape, highlight it further with tassels. You can make it more deep and broad, according to what you are comfortable with. 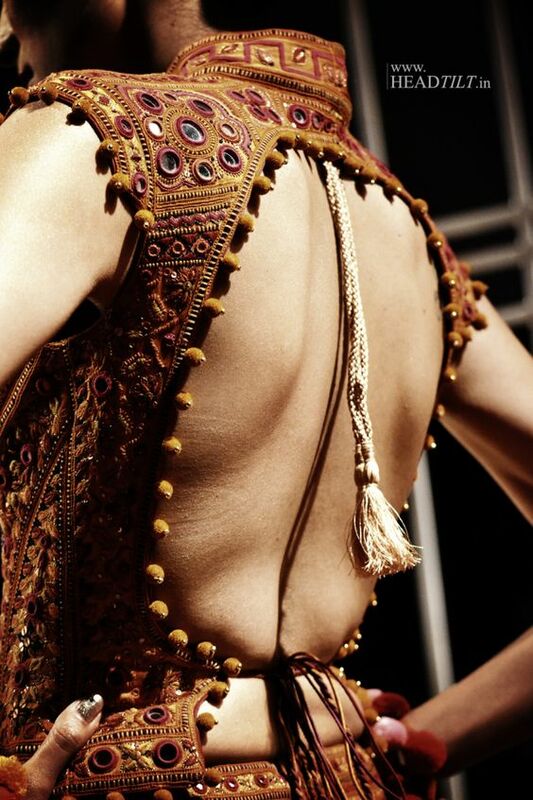 Double tasseled look– This is generally a backless design which ends at a zero point at the bottom, finally fastened with dori and tassels. Boat neck with a round detail– A simple boat neck with a extended round detail is one of the most commonly used necklines for back, but goes perfectly with most of the designs too. Its fastened at the upper base with tassels. This design can also be done in a double tassel look as above. The traditional backless dori work– This is the most stylish of all the necklines, and you must have seen someone wearing it here and there. A bit daring though, but looks great if you can carry it well. Tassel neckline for long shirt style blouses– We often feel that the tasseled look don’t go with the shirt style or long length cholis. But it’s not true, try styles like these, they look perfect.